Two rear pockets - one with flap. 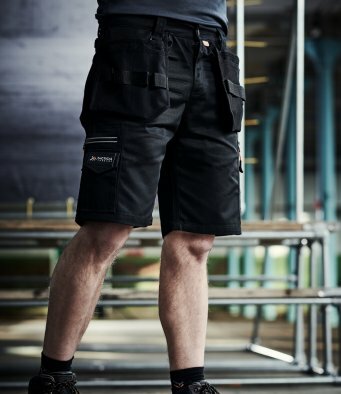 Multi-function tool and mobile phone pockets on thighs with reflective piping. Branding on front waistband, rear belt loop, thigh pockets and rear left pocket flap.